Little compares to the joy you feel upon reuniting with loved ones. 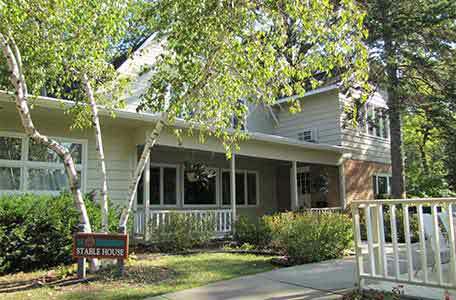 Heidel House Resort & Spa welcomes you to hold your family reunion in Green Lake, Wisconsin, with fun on the lake, endless recreation, a luxurious spa and kids’ activities sure to please. In addition to comfortable resort guest rooms, we welcome you to explore our vacation rentals for a more close-knit experience. A family reunion favorite is the Stable House, accommodating up to 14 people. Another option is the Guest House, which maintains a cozy feel, but boasts ten standard guest rooms. Remember, room rate discounts may be available when you book a group of rooms as part of a block. Your sales manager is happy to provide details based on your group size. On-property dining is a delicious convenience at Heidel House Resort. The Sunroom café welcomes you to breakfast and lunch complemented by a variety of espresso drinks and Colombian coffees. 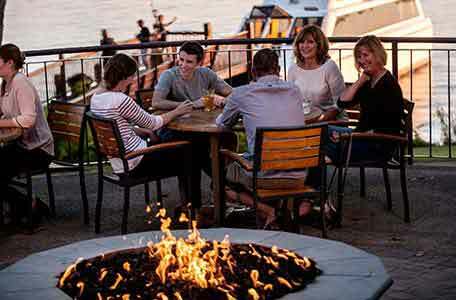 For pub-style fare and casual entertainment, you’ll be interested in experiencing the BoatHouse Pub. Lastly, Grey Rock, our “Kind of swanky. Lots of fun.” restaurant, welcomes your family to a nice, lakeside dinner of reborn classic dishes promising balance of the finest ingredients. We're happy to assist in planning a reunion full of recreation and lake fun. Consider a cruise on the Escapade Yacht or renting a boat, kayaks, pontoons, paddleboards, tubes or waverunners. Rentals can be made right on our beach through Action Marina. 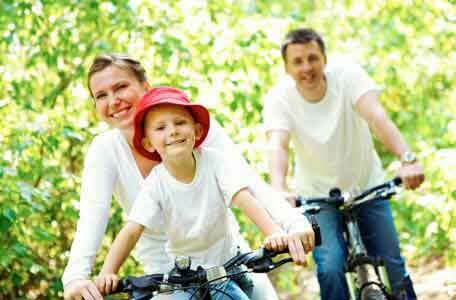 We also offer a variety of other equipment for biking, tennis and fishing. Your family might also enjoy organized activities on property, such as a bonfire on our beautiful grounds, a Paint & Wine Class with Dabble Arts Studio or guided fishing with area experts. For a full list of options, contact our sales team today. For the adults of the family, our Sales Team would be happy to coordinate health and wellness activities at Evensong Spa. 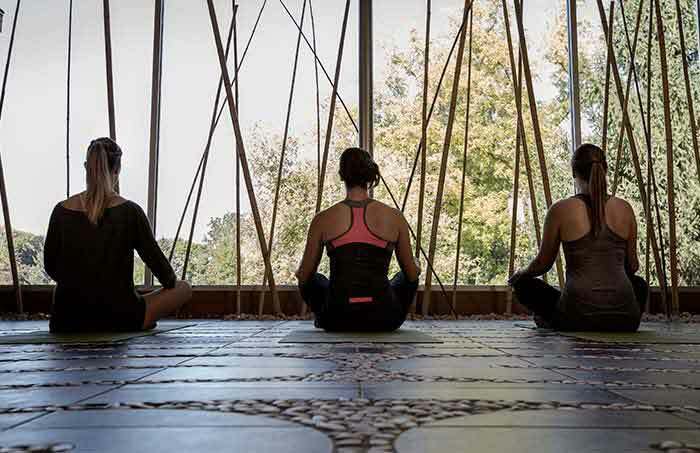 Perhaps a relaxing class of meditation or yoga stretch breathing would fit your interest. For more physical activity, consider yoga or hula hoop fitness. And, as always, a variety of signature services are available for you to schedule at your convenience. 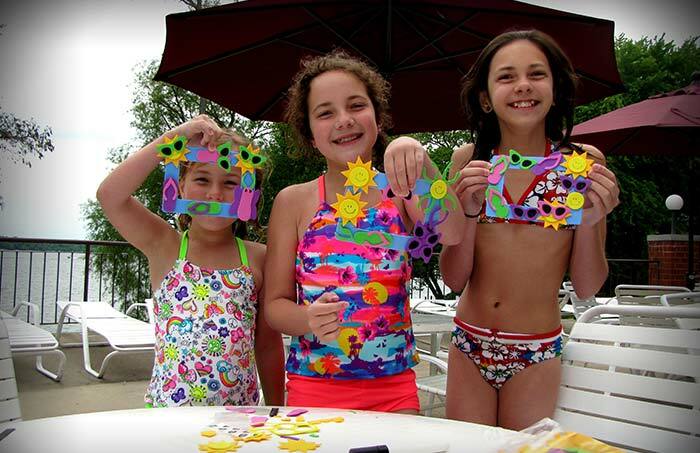 The kids will not go bored at Heidel House Resort & Spa. In addition to having the indoor pool, outdoor pool and lake to enjoy, your children could participate in various activities. For a sample of offerings, view our current schedule of weekly activities. To begin planning your family reunion on Green Lake, please contact our sales department at 800.444.2812.